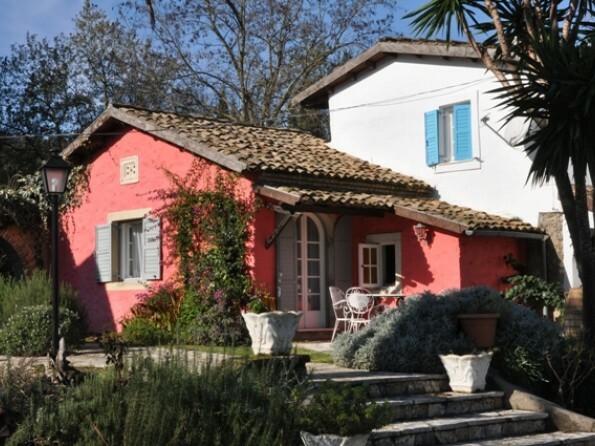 Casa Lucia is an old olive press which has been converted into 8 separate cottages with a large central activity room. 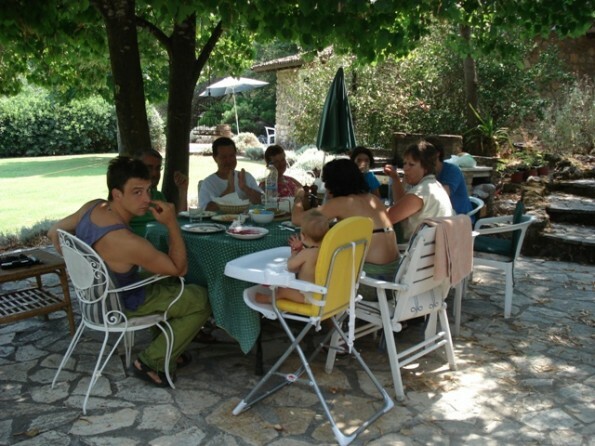 It is a peaceful and restoring place surrounded by hills and beautiful gardens plus a unique swimming pool decorated with mosaics and a friendly and relaxed atmosphere. There is daily maid service, as well as unobtrusive management to offer help and advice. Beauty treatments, alternative therapies, tai chi ,qigong, yoga and bodylistening are available on site. 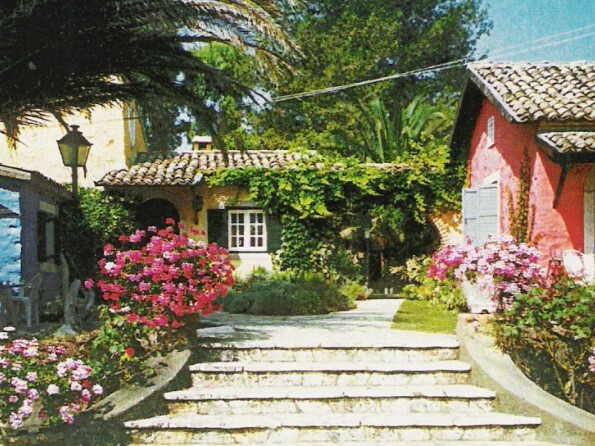 Sgombou is a small village in the centre of Corfu making it an ideal setting off point to explore the whole island. Lucciola restaurant is 5 minutes walk away and opens early every evening, offering traditional home-cooked Greek food at reasonable prices. 500 m away is Maria’s grillroom which offers daily specials as well as kebabs and grilled meats – they will also deliver, and there are several places that deliver quickly delicious pizzas and spaghetti dishes. We receive a box of organic vegetables, eggs, honey, oil, cakes every week. 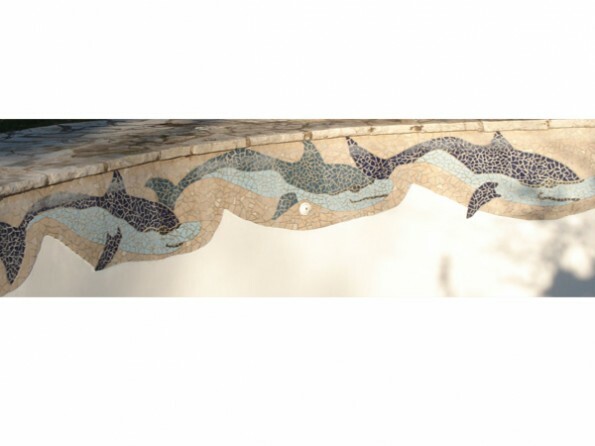 Sgombou boasts the best ceramic workshop on the island, and next door to Casa Lucia is a glass and wrought-iron workshop making small and large objects from recycled material. Although we recommend car hire for at least some of your stay, the bus stop is 5 mins away with frequent connections to the Northwest and Corfu town. There are daily charter flights to Corfu from all European countries,scheduled flights via Athens: Easyjet now fly daily Gatwick/Corfu; also from Bristol and Manchester. Together with Ryanair they now also fly from most European cities direct to Corfu. Ferry connections from several Italian ports take from 8 to 24 hours, "slow" luxurious travel: hourly ferry connections to and from the Greek mainland at Igoumenitsa: by sea it is a beautiful entry to Corfu. Taxis from both port and airport charge about 25 euros to Casa Lucia, which they all know: or a hirecar can meet you at your port of entry. The White Cottage features an open plan space, with a double bed separated by a curtain from the living area. 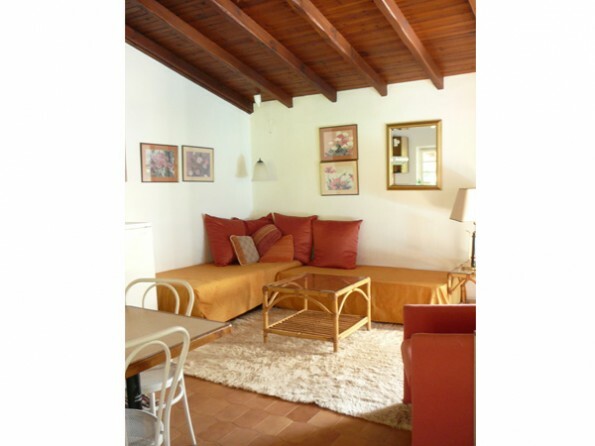 The living area has two sofa beds – ideally suited to children. There is a fully equipped kitchen area with dining bar. The bathroom has a small bath, and there is oil-fired central heating for early spring, late autumn and winter lets while table fans keep you cool in the summer. 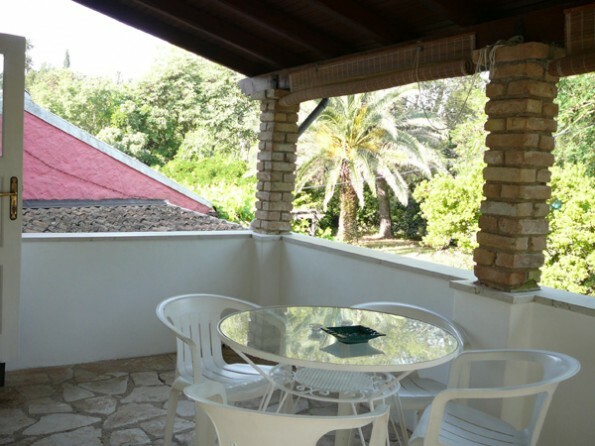 The balcony overlooks the clay tiled rooves of some of the other cottages, and a secluded area of the gardens; it has a dining table and 4 chairs, and drop-down blinds as it is a sun-trap in the afternoon. If toddlers are in residence, a child gate is fitted across the stairs. We ask our guests kindly to smoke outdoors only. We have no set changeover dayu. Bookings are confirmed after receipt of a 25% deposit and the balance is payable 6 weeks before arrival date. Cancellation refunds are in accordance with ABTA guidelines.